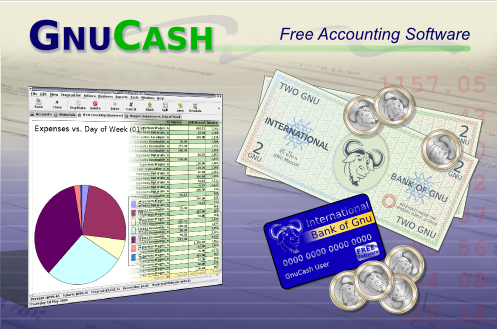 GnuCash is a well known, open source, cross platform, free software for accounting purposes. It is widely used to fullfil the accounting needs of financial institutions from small to large scale. It lets you track your important financial assets like bank accounts, income, expenses or stocks etc. It uses accounting principles on the backend to carry out the required operations. The development team announced the availability of latest release of this software, GnuCash 2.6.7, it is available to download and test, and we will be focusing our discussion on the features and installation steps of this release on ubuntu Linux. GNUCash itself is a very feature rich application; here are some of the noteworthy features/bug fixes in this new release. Most important updates have been done in the field of Translations. It has been updated for Azerbaijani, Basque, Catalan, Chinese (Simplified), Czech, Danish, Dutch, Portuguese, Slovak, Swedish, Turkish, Ukrainian Languages. Broken equations issue is fixed now. Important updates have been made to general ledger and journal reports sections. Improvements have been made to “Auto pay on posting” section. Previously reported issues with blank base currency entries have been resolved. Issues with “custom colors for the register” have been fixed. According to the official documentation of GNUCash, it is recommended to use the version of this app that comes bundled with your operating system repository, although its bit old but its stable and should satisfy the needs of most of users. Run following command to install GNUCash old stable version on ubuntu. But if you are looking to try latest 2.6.7 on Ubuntu, here are the steps. First of all download its source file From here. As soon as the download process is complete, launch your terminal and extract the downloaded file as. Once the process is complete, go into the extracted directory. Now run following command to start the installation process. 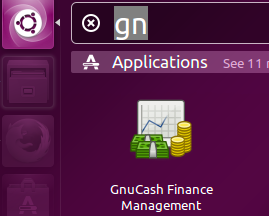 Congratulation, latest GNU cash has been installed on your ubuntu system now. Launch it from Applications >> Gnu cash option. GnuCash is widely used for accounting purposes on all important operating systems like Windows, Solaris, Linux, Mac OS. It been in the world since 1997 and is extremely stable and useful application. It seems there are some errors in the configure command, Can you please post output of configure ?